Mother's Harvest Time - Upland Brewing Co. While every beer we brew includes hops, and some feature them quite prominently, the annual hop harvest offers a rare opportunity to use farm fresh hops in their purest form. 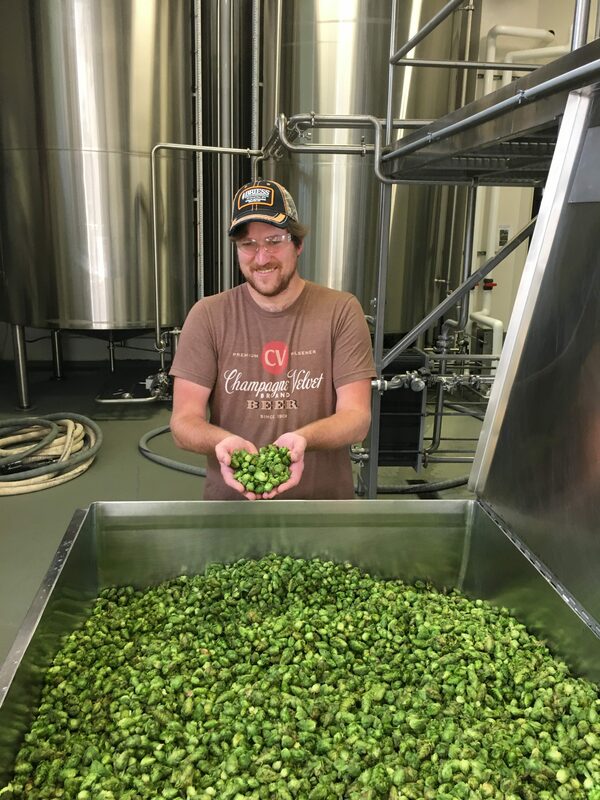 Working directly with local Indiana farmers, the Upland team is able to showcase a fresh, “wet hopped” character that can only be achieved by delivering hops directly from the bine to the brewhouse. For Mother’s Harvest Wet Hopped IPA, a team of Upland brewers drove up to Indy High Bines in Indianapolis to help harvest their hops. 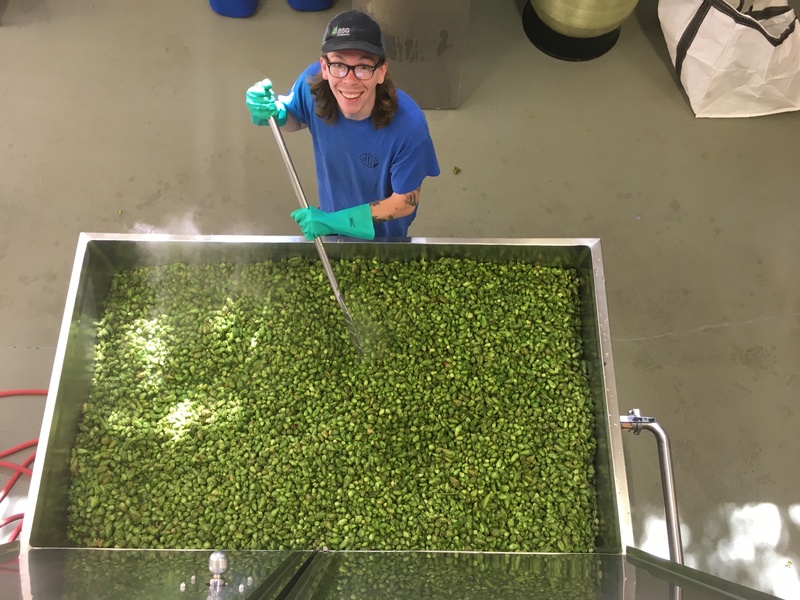 As the harvester machine separated the hop cones from the leafy bine, we helped hand sort out any stray leaves as we watched a bright green pile of fragrant hop cones grow larger and larger. After reaching the 150 lbs quantity we desired (4 pounds per barrel of beer), the hops were delivered straight to Bloomington and we were mashing in our brew within a matter of hours. Brewing with hops that are this fresh off of the bine and completely unprocessed maintains the maximum aroma and flavor impact. Since no hop oils have been lost to drying or preserving, we refer to this as “wet hopping”. We can only brew these beers once a year and we love the opportunity the share them with you. Upland is proud to team up with a Bloomington institution for our latest and freshest farm-to-pint release. Mother Hubbard’s Cupboard (The Hub) has connected farmers, gardeners, and growers with people in need for twenty years. Mother’s Harvest is a true collaboration between Indiana growers, Indiana brewers, and the local community at large. In line with our other 2018 Side Trail Releases, this beer is a juicy, New England style IPA. The first, draught only release will feature Indy High Bines Cascade hops. The second batch, to be canned and released at the beginning of September, will feature Indy High Bines Chinook hops. 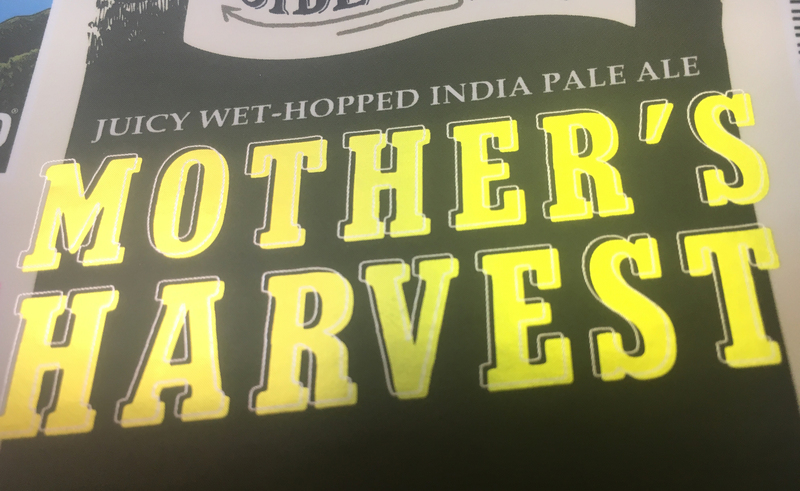 Mother’s Harvest was brewed with the freshest possible ingredients as is meant to be enjoyed as soon as possible. Cheers!